The inpatient botulin toxin department was established in 1987. 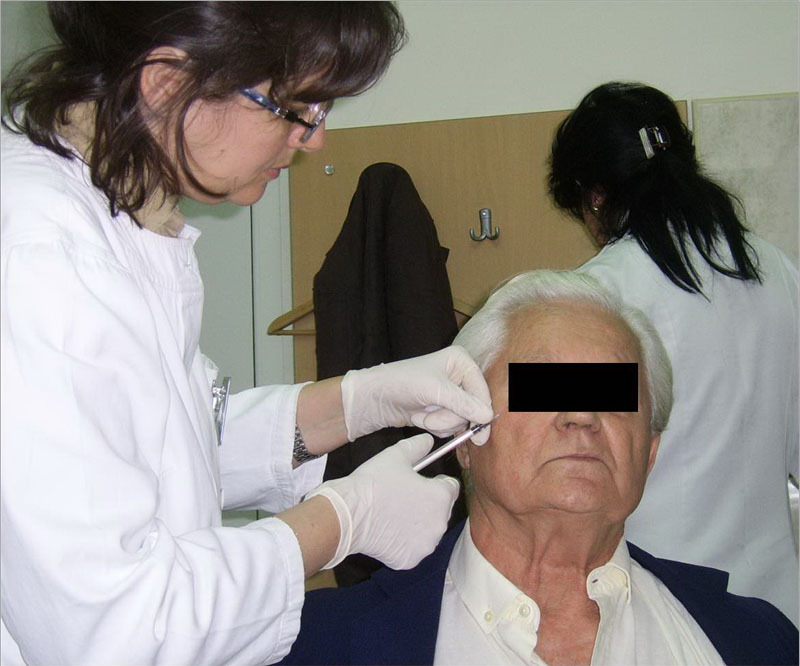 From the pioneer attempts of drug application in treatment of torticollis and blepharospasm, the Center has become a place where the drug is used in treatment of large number of focal dystonias (blepharospasm, torticollis, graphospasm, foot dystonias). Cooperation with external collaborators (otorhinolaryngology, phoniatrists and logopedists) enabled treatment of spasmodic dysphonia with appropriate pre-interventional analysis of voice characteristics and postinterventional vocal therapy. The Center also applies the drug in control of sialorrhea leading to significant improvement of quality of life of patients with excessive salivation. Axillary hyperhydrosis is another indication for application of the drug that may be beneficial for the patients, which is confirmed by the experiences gained in the Center. Similar results are also obtained with application of the toxin in treatment of hemifacial spasm. Spasticity resulting from central nervous system or spinal cord disorders is another condition in which botulin toxin is applied within the Center. The drug is applied with or without electromyographic assistance, which is not a prerequisite for administration of the injections. The expenses of treatment are covered by health insurance for large number of indications and thus, free of charge treatment is enabled for the registered cases. Large number of patients is included in the corresponding data base particularly designed for the given group of patients. The injections are administered in more than 1,500 patients per year, who receive their treatments in intervals not shorter than 3 months. The Center also carries out educational activities intended for physicians interested in this therapeutic procedure. Working hours of the Center: Mondays, Wednesdays and Fridays from 11.30 a.m. till 2.30 p.m., according to the scheduled appointments. For more details call: 011-361-41-22/ext 42-15.